Where I can found smo compatibility matrix ? 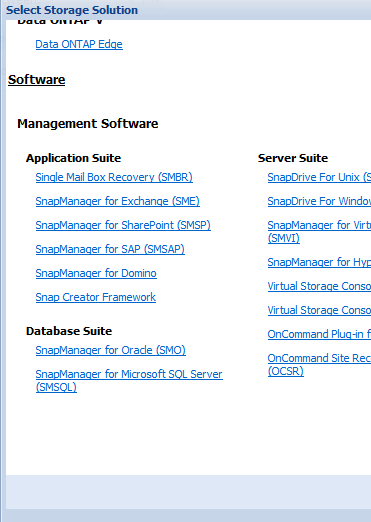 then select "Change" next to storage solutions. Have you tied to register on the http://support.netapp.com site? on this site, but we have not access to the full support. Qu'il fallait un login sur le support ibm pour acceder au doc..